If you have any questions about this policy, please email us or write to: Meantime IT, 2.1, Riverside Business Park, Natland Road, Kendal, LA9 7SX. We primarily collect information to better understand how visitors use this website. We also collect and store any information submitted using the forms in order to satisfy client requests and enquiries. 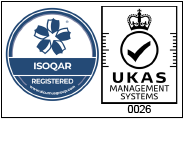 Meantime is an ISO 27001 accredited company and we take data security very seriously. We have implemented strong physical and electronic security safeguards to prevent unauthorised disclosure or access to all the data for which we are responsible, including your information. We adhere to the terms of the Data Protection Act and the GDPR that came into force in May 2018, including all of the requirements concerned with the storage and processing of personal data. Any personal information we hold about you is stored and processed under our data protection policy, in line with the Data Protection Act and the GDPR. Please note that we have no control of websites outside the meantime.co.uk domain. If you provide information to a website to which we link, we are not responsible for its protection and privacy.